It’s hard to imagine operating an aircraft without the safety and power provided by our modern instruments and controls. In the early days of aviation, pioneering pilots had to maneuver many aspects of their aircraft manually, including adjusting propeller pitch from the ground. 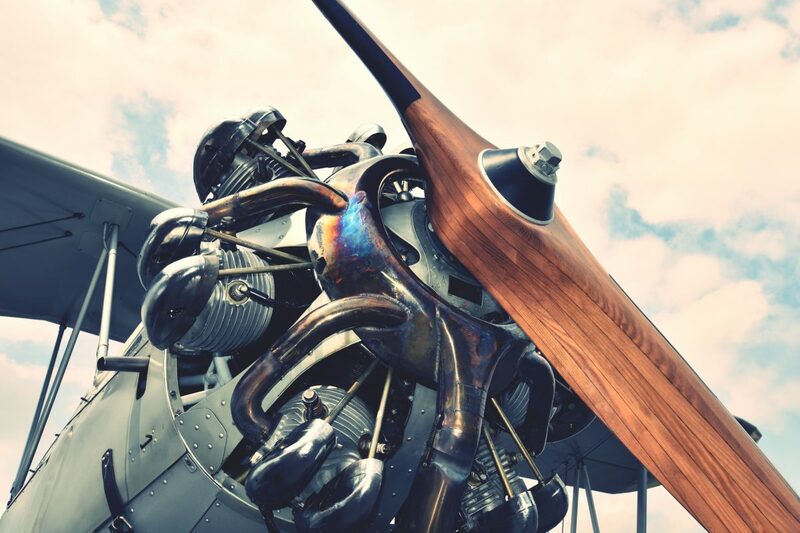 While variable pitch propellers were tested for years, it wasn’t until 1929 that Wallace Turnbull patented a design for an automatic variable pitch propeller. By 1932, the first variable pitch propellers were used in general operation of aircraft. The benefits of variable pitch propellers soon made them appealing for use in military aircraft during World War II. An aircraft’s propeller is the source of thrust that propels a plane forward. A propeller’s pitch affects the way the blades slice through the air and generate thrust in flight. Especially at faster speeds, propeller-driven aircraft require adjustable propellers so that the blades don’t stall in flight. Before the invention of variable pitch propellers, pilots had to use fixed-pitch propellers, which had the pitch determined in installation and could not be adjusted. However, pilots and aviation engineers soon found that changing the pitch of an aircraft’s propeller could provide pilots with greater control over the performance and operational efficiency of their aircraft. Blade pitch in a variable pitch propeller may be adjusted manually with cockpit controls or automatically as the engine speed changes. Blade pitch is usually regulated by an electrical or hydraulic system, which allows the pitch to continually adjust during flight and adapt to altitude or RPM. Variable pitch also allows pilots to adjust pitch so the propeller maintains the most efficient flow of air, improving fuel efficiency, safety, and performance of the aircraft. Many of today’s modern aircraft engines require constant-speed propellers, which are variable pitch propellers that automatically change pitch to maintain a constant rotational speed. These propellers are capable of partly rotating along their longest axis to adjust the size of their “bite” of air based on the speed of the aircraft.